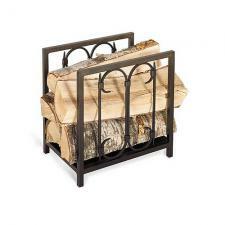 *Beautiful elegant accents burnished black log holder. *Measures 14" High x 14" Wide x 10" Deep. *Quality product from Pilgrim - 22 lbs.